If you’re looking to put a little pep in your step this winter, and you’ve got a yen for helping wildlife, we’ve got the shoe for you. For a limited time, Suno will be offering a line of lace-ups and slip-ons in its trademark multihued prints. 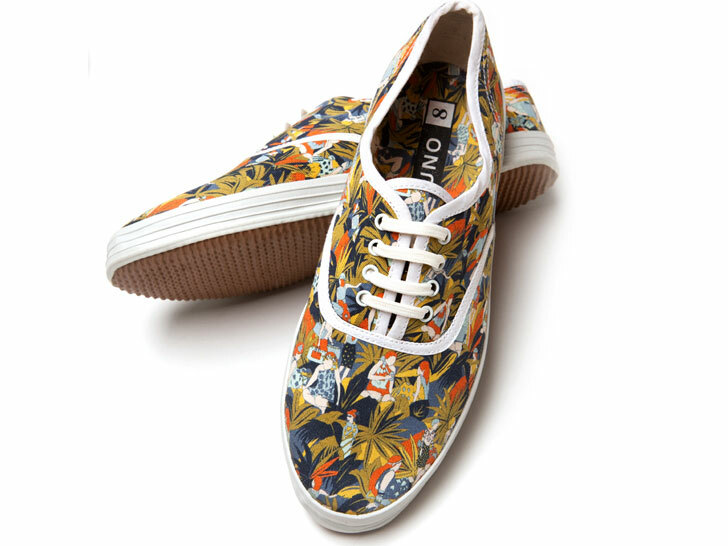 Fairly made in Kenya from fabric offcuts and recycled rubber, the canvas sneakers boast colorful names such as “clustered caviar,” “bandana flower,” and “blooming melon.” Plus, a portion of proceeds will benefit the David Sheldrick Wildlife Trust, which fosters orphaned baby animals like elephants and rhinos. Can we get an “awww”? If you're looking to put a little pep in your step this winter, and you've got a yen for helping wildlife, we've got the shoe for you. For a limited time, Suno will be offering a line of lace-ups and slip-ons in its trademark multihued prints. Fairly made in Kenya from fabric offcuts and recycled rubber, the canvas sneakers boast colorful names such as "clustered caviar," "bandana flower," and "blooming melon." Plus, a portion of proceeds will benefit the David Sheldrick Wildlife Trust, which fosters orphaned baby animals like elephants and rhinos. Can we get an "awww"?